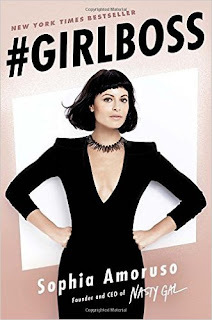 #GirlBoss talks about the Sophia Amoruso's journey from start to the current situation of her massive success business, Nasty Gal. She shares her experience with pieces of helpful advice here and there. It is a light read and perfect book for people (like me) who have big goals in mind. It's Amoruso's success story and what she learned on her journey to the top. When I chose the books I'll include in my 17 Books Before 2017 I knew #GirlBoss should be in it. This book is a perfect break from a series of intense book I've read last month and it really gave me a lot of think about. Since this isn't the usual novel that I review I will then create a summary of the many things I learned throughout the book. I hope you can get ideas too though I still recommend that you pick this up to motivate you for next year. A #GIRLBOSS is someone who's in charge in charge of her own life. This one liner definitely hit me hard. I didn't really realized how happier I am seeing my savings go higher rather than my makeup collection grow bigger. There is a different satisfaction when you know you have used your money well. If you didn't know I have a personal finance blog called www.savingspinay.com.ph you can visit for dose of financial stories. Luck isn't the reason you are in the position you have today. It's every decision you did in the past, it's each time you show to work on time and it's whenever you do your very best in your work. Know that you're planting the very seeds you can only hope will grow beyond your wildest dreams. Amoruso reminded in her book that when you keep reminding yourself over and over that this is what you want ... you'll soon find that the more you know, the less you're willing to put up with what you don't. Amoruso suggests to not spend time thinking about things you don't want to have a place in your life. You have to kick people out of your head as forcefully as you'd kick someone out of your house if you didn't want them to be there. Remember how I see myself to Amy of Gone Girl? 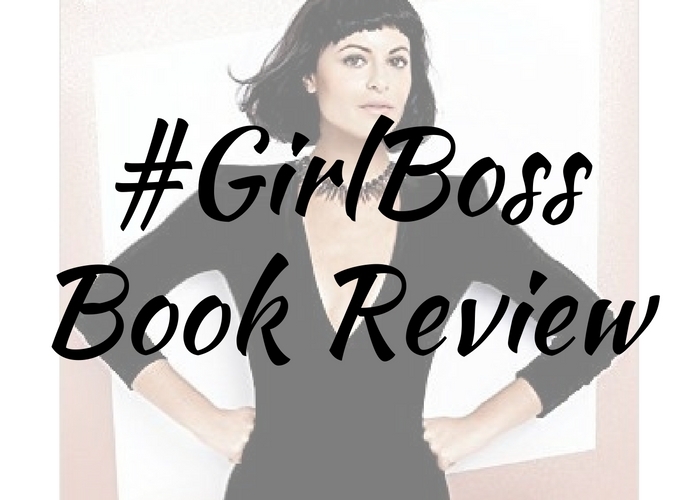 There's also a line in #GirlBoss that I felt like I am Sophia Amoruso too. "I spent too much time thinking about what other people thought about me, and what could I possibly do to make them like me more. #RELATEMUCH!!! You only fail at something when you become too attached with the result. If you focus on the positive and let gaining experience, perspective and knowledge your measure of success, failure is no longer a possibility. Reading this book awaken the #GirlBoss inside me. There are a ton of lines that stood out for me and made me want to work hard and achieve my goals and dreams. Now I know the reason why most bloggers I follow recommend this book to read, I sincerely had a great time digging to all the information and stories Amoruso shared.